Group Dental: a complex topic that may seem simple on the surface, but if you truly want to make an employer and employees happy, there’s more to it than rates. Did you know that next to medical benefits, dental is the next sought after benefit? It’s our opinion that it is better to offer it on a voluntary basis than not at all. This is one of the many benefits that can be deducted before taxes and still help the employer save money. More often than not, the standard maximum annual benefit is usually $1,000, but are you aware there are options for $1,500, $2,000, and depending on the group size, even higher? Tip: Some companies won’t count the preventative dollars used towards that maximum, which can help increase the actual benefit by several hundred dollars. Ranging anywhere from $0 to $250 per person and up to three times per family, a carrier may often increase the family cap from 2 times to 3 times to be a bit more competitive in the marketplace. Tip: Lifetime deductibles are an option to encourage a group to stay with a carrier. Once the lifetime deductible has been met per person and family member, no further deductibles are required. How are the benefits paid? It’s important to analyze where Endodontics and Periodontics are paid. Together with surgery and anesthesia, these are means to get the pricing down (and lowering or raising benefits to the employees). Tip: This is where a rate is not simply a rate and you are really doing your client a disservice if that’s all you are reviewing. What about networks & how they function? Closed network HMO’s only allow a member (unless an emergency) to receive benefits from a listed provider, and referrals are required for specialist services to be covered. The same is true with some carriers when they quote a MAC (maximum allowable charge) plan or a DHMO (Dental HMO). Tip: Comparing a carrier that quoted a MAC plan versus a UCR (usual, customary, and reasonable) would be a mistake. Let’s not forget that many individuals aren’t so lax to change dentists and if forced to do so may resent the employer and insurance carrier in the end. Before you quote your next dental plan, make certain to take these variables into account. If this is a daunting task (which it can be if you are truly quoting the dozen or so carriers that are out there), please feel free to allow us to do the work for you. We will make the process painless and the sale will be easier than ever before. We look forward to working with you on your ancillary group cases this year! Thank you for your loyalty and let us know what more we can do to help you in your group and disability solutions. Who loves exciting developments in the income protection arena? We do! And this month we’re talking about Guaranteed Standard Issue (GSI). 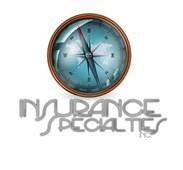 As many of you may already know, a few top tier carriers offer high quality disability insurance. Most have the same requirements to obtain a Guaranteed Standard Offer. The Purpose of GSI: This form of individual plan is designed to be employer paid (or mandatory contributory) and supplement the group offering. Often group plans are capped and discriminate against the more highly compensated. This offering makes it easy to obtain, WITHOUT UNDERWRITING (I’m sure many of you have seen where the president or a member of the “C” suite is often the uninsurable/unhealthy one), while still providing all of the benefits of an individual plan. An own-occupation definition of disability (this plan is for executives or those earning at least $75,000 or $100,000 depending on the carrier). A true residual is part of the plan. COLA (Cost of Living Increase) options are available. The policy is usually non-cancellable (some offer this as a rider). Are you an ancillary lines group producer? If so, this product is an excellent way to cement your client relationships and help the executives secure their financial plan. Are you working outside of the insurance field? If you are an employer, business owner, or member of a group, feel free to contact us for more detailed information and to see if your group qualifies. As we have said in the past, we strive to make this process easy and understandable. If and when you have a potential case we are more than happy to provide you with everything you need. Let us know how we can serve you! In today’s article, we want to spend a few minutes discussing an often overlooked plan for your business clients … a Disability Buy-Out Policy. We will not apologize for the plethora of information, its dry nature, and the newsletter’s length; we know of no other way to discuss an involved product such as this! Similar in nature to life insurance sold for buy-sell agreements, this plan exists to cover a need. Instead of death, the trigger is a disability. These plans have long elimination periods, 365 days, 540 days, or 730 days depending on the carrier. Unlike triggering a life insurance benefit, clients may be able to return to work so you don’t want the benefit started too soon. Besides, what partner or shareholder would not want to return to their business? We won’t get into valuation methodologies (which are important to help determine the partner/shareholder value) as they are too intricate. However, the amount of coverage allowed for each partner/shareholder is predicated on his or her ownership percentage. Who and how many to cover? As a rule, you do not have insurers willing to cover more than 4 or 5 partners as it would prove too costly. In addition, the principals can more easily fill in if another partner/shareholder becomes disabled. According to Principal Financial, “A buy-sell agreement is not required in order to purchase DBO insurance, but one must be in place at the time of a disability claim. In the state of New York, the buy-sell agreement must be in place before purchasing DBO insurance”. There are two methods of paying for the coverage: entity purchase and cross purchase. Once again, just like life insurance, you select the one that best fits the needs of the client. Too many policies are cumbersome (and expensive), so often with 3 or more partners/shareholders, the entity purchase will make the most sense. How does the policy pay out? The payout on these policies will rely on the total amount at risk. With multi-million dollar agreements, the benefit is normally paid as a partial lump-sum followed by monthly installments. They can also pay out in monthly installments only with no lump sum. Lastly, smaller amounts ($1 Million and less) can be paid in a lump-sum, which is the cleanest and easiest. No matter, a buy-sell agreement will be required at time of claim to determine the valuation method used, the benefit amount (percent of business), and the validity of the claim. If you need assistance in forming a plan for your business clients, we are here to help. We have built a successful track record in developing buy-sell agreements, that when combined with new individual disability policies, have generated substantial premium discounts for the client. Please reach out to us so we can make your process easier!